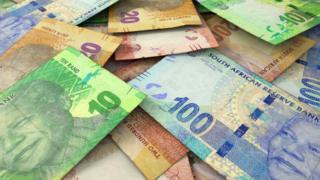 A South African university is investigating how a student was mistakenly given a 14m rand ($1m; £770,000) loan. The error became known after an image of a receipt showing the student's account balance was widely shared. A Walter Sisulu University (WSU) spokesperson accused the student of spending some of the money on a "lavish lifestyle", Times Live reports. The student, who has not been named, said she reported the mistake. She has also been quoted as saying that she has returned the money. But the university insists that the student will be "liable for every cent", News24quotes spokesperson Yonela Tukwayo as saying. South African students receive loans, to cover textbooks, accommodation and food, through the National Student Financial Aid Scheme (NSFAS), and the money is meant to be paid back after graduation. In theory, a student should only be able to spend it using a special card at designated shops. NSFAS has blamed WSU for the error. In a statement issued on Twitter it said that it gives all the money to be paid to students to the university, which then passes it on. "When a mistake occurs in these processes, it is in the hands of the university," NSFAS said.